The Premier League is an English professional league for association football clubs. At the top of the English football league system, it is the country's primary football competition. Contested by 20 clubs, it operates on a system of promotion and relegation with The Football League. The Premier League is a corporation in which the 20 member clubs act as shareholders. Seasons run from August to May, with teams playing 38 matches each, totalling 380 matches in the season. Most games are played on Saturdays and Sundays, with a few games played during weekday evenings. It is sponsored by Barclays Bank and therefore officially known as the Barclays Premier League. 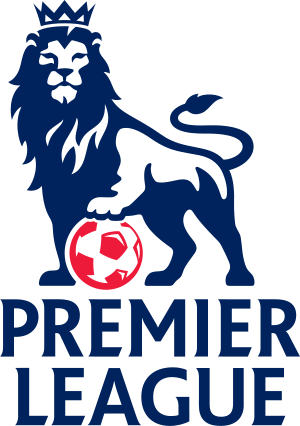 The competition formed as the FA Premier League on 20 February 1992 following the decision of clubs in the Football League First Division to break away from The Football League, which was originally founded in 1888, and take advantage of a lucrative television rights deal. The Premier League has since become the world's most watched association football league. It is the world's most lucrative football league, with combined club revenues of £1.93 billion ($3.15bn) in 2007–08. It is also ranked first in the UEFA coefficients of leagues based on performances in European competitions over the last five years, ahead of Spain's La Liga and Italy's Serie A. Since 1888, a total of 23 clubs have been crowned champions of the English football system. Of the forty-four clubs to have competed since the inception of the Premier League in 1992, four have won the title: Arsenal (3 titles), Blackburn Rovers (1), Chelsea (3), and Manchester United (11). The current champions are Chelsea, who won the 2009–10 season.